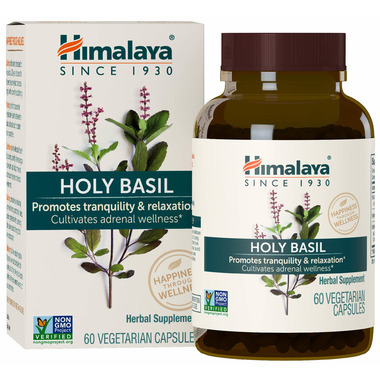 Himalaya Herbal Healthcare Holy Basil is a herbal supplement for stress support and emotional well-being. I haven't noticed any difference yet with Holy Basil but I did miss some doses so that may be the reason. I have been using Holy Basil for about a month and have found it to be effective. I take this along with the theanine. Seem to be able to handle the stresses better.